10 Bar has announced their new housing for the Panasonic Lumix GH-3 camera. The Lumix GH-3 is an excellent mirrorless camera that is well-known in video circles. It features a very high bit rate that rivals many prosumer DSLRs and also takes great still photos. Being mirrorless, the camera is compact and easy to travel with, especially when paired with 10 Bar's new underater housing. September 25, 2013 (Hong Kong) - 10 Bar is pleased to announce the launch of Panasonic GH-3 housing. 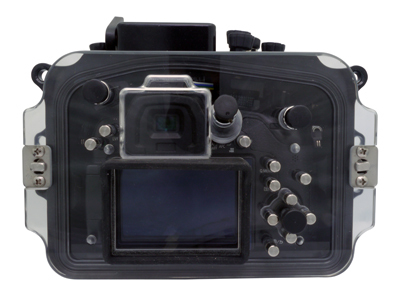 The housings are machined from a solid block of aluminum with clear acrylic back cover, which allows easy checking of the rear LCD monitor of the camera. 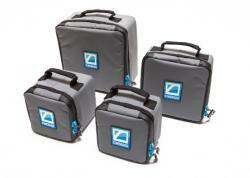 It employs double o-ring system and stainless steel locking latches for enhanced security. It has levers and buttons accessing all controls on the Lumix GH-3 camera. 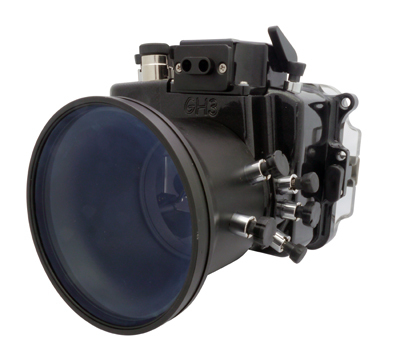 The fiber optic port provides TTL flash exposure with Inon/Sea & Sea strobes. The housings are individually pressure tested to 90m. Overall size is 192 x 186 x 162 mm (L x W x H) with a weight of 12.3 kg with 12-35 zoom lens port.